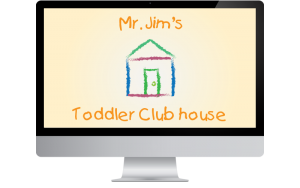 Mr. Jim’s Toddler Clubhouse is each weekday at 11:00 a.m. Developmentally appropriate hands-on activities for toddlers and their caregivers, featuring dancing, crafts, food or singing. Come on in and play! !